Does thinking of finding a partner or co-founder to help convert your idea into a viable business leave you hopelessly confused or fearful? You are not alone. Everyone you ask will have a strong opinion. And each opinion is conflicting. Some would tell you that it is impossible to do anything without a co-founder. Others would say run as fast as you can from partners. So what do you do? You start by identifying the key knowledge areas that you need to assess to decide if you need a partner or not, and if you do, what kind of partner you should look for. Do I know what kind of people or businesses will buy my product or service? Do I have established relationships with a number of potential customers? Do I know exactly what problem I am solving for my customers? Can the people I know actually make a buying decision on my product/service? Do I know all the components of my proposed solution? Can I develop these components myself or do I have intimate knowledge of how to get them developed? Do I know, with confidence how much effort would it take to develop my product or service initially? Have I developed and/or managed the development of something similar? Have I started a business in the past or played a leadership role in a startup before? Have I developed a business plan of a similar kind of business in the past? Do I understand the term “business process management”? Have I raised money in the past for a startup? Do I know investors who have invested in a similar kind of company in the past? Can I simply pick up the phone and talk to few people who have the capacity to invest in my idea? Do I believe that I can raise enough money to develop my product through the people I know? TIP for newbies: Experience counts. If you’ve not led a start-up in the past, having an experienced entrepreneur as a mentor or advisor would help you tremendously. Look for a mentor with experience and chemistry. Seek out someone who’s done it before and share with them your vision and unique challenges. 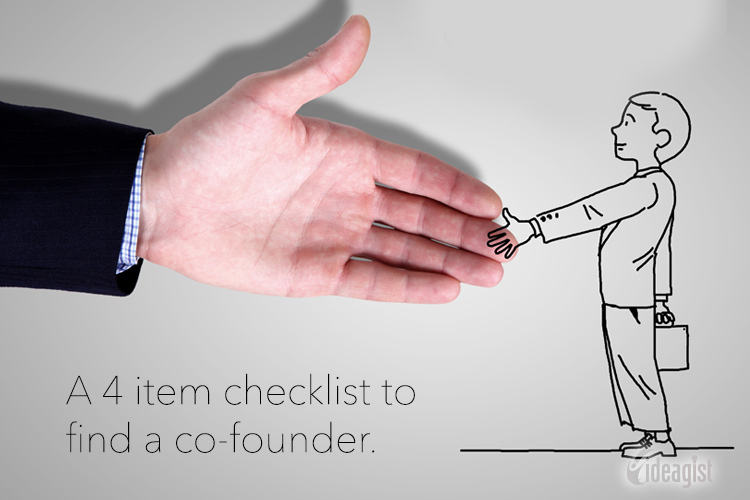 Whether you need a co-founder/partner or not, IdeaGist can help you with your ideas. Join www.ideagist.com for free and become part of a global community of innovators and entrepreneurs.